We have amongst the biggest team of cleaners on the Gold Coast so it is natural that we can supply as many housekeepers as you need, at short notice in Main Beach. If you are in Main Beach, your guests probably expect a higher standard of cleaning than average in their rooms and apartments. And we deliver that higher standard to you because as our customer, what you say is important to us. And we are equally comfortable working in older rooms to. The room look may change but the standard of housekeeping never does. Nor does our comittment to making you happy every day. We started cleaning in Main Beach more than 5 years ago and today we clean hundreds of rooms every week and have very stable and happy customers. You can expect that we will meet your standards and live up to our promises. 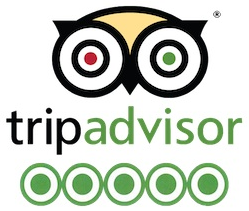 Could You Improve Your Social Media Reviews For Your Resort Cleaning Today? As an owner or resort or holiday accommodation manager, you can’t readily change your location, you facilities and despite your best efforts, get all owners on the same page about internal quality and presentation . But one thing you can change is the level of cleanliness inside your rooms. In turn, this will change what your guests are saying about you on Social Media and in today’s market, your guests are better researched and have access to more information about your offerings than they have ever had. And that’s a good thing if you use it to your advantage. We monitor your social reviews daily and make sure that we do our part so your resort can score as close to perfect on cleanliness ratings as possible. It is just all part of going the extra mile for you. So get in touch today. We would love to hear from you.